If you are buying a large parcel, and are thinking about sub-dividing and selling the lots individually for a profit, there are a few things you should know. There are additional rules that typically apply in these situations and we strongly suggest you work with the county closely and consult a land professional such as Acumen Investments, LLC before you purchase with the intent to divide the land. 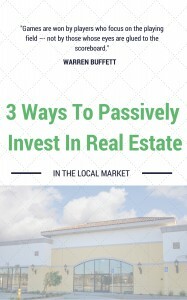 This is a strategy used by land investors who have a good grasp on the market, they can see the value in the individual lots before the area becomes developed.